• Each Scarf Ring is 3"" in Dia. The Rose Gold Scarf Hanger makes it easy to show off your store's scarves in an attractive but organized way. 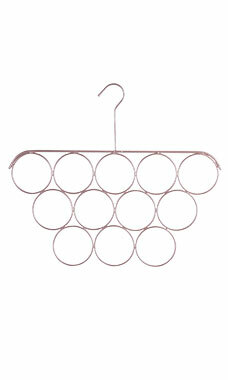 This hanger measures 16"W x 13 1/2"H with 12 scarf rings that measure 3" in diameter.